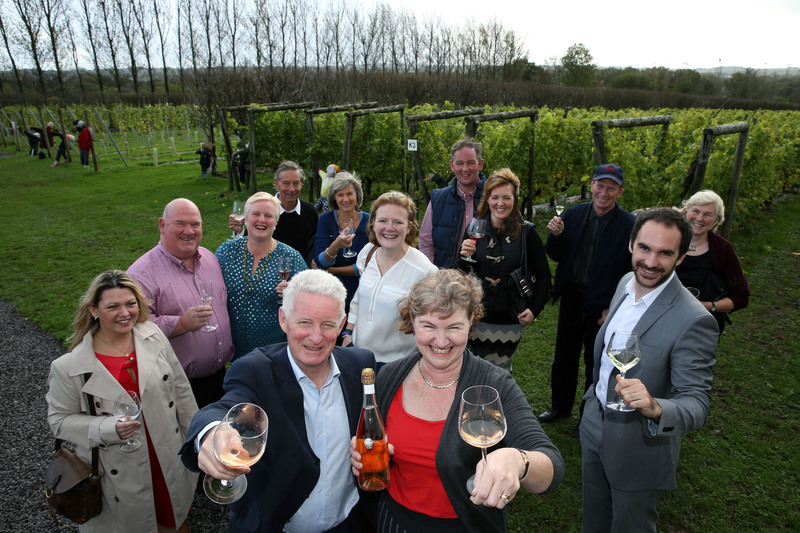 The first ever Welsh Vineyard Association (WVA) Awards were held recently at Llanerch Vineyard in the Vale of Glamorgan. A total of 35 wines were entered and they were split into three classes – Still White or Rosé, Red, and Sparkling. It’s great to see such a competition taking place, credible awards are very important for the drinks industry as it provides a lot of marketing collateral for the winners. Were these awards credible? Yes, most certainly. You only have to look at the judging panel. 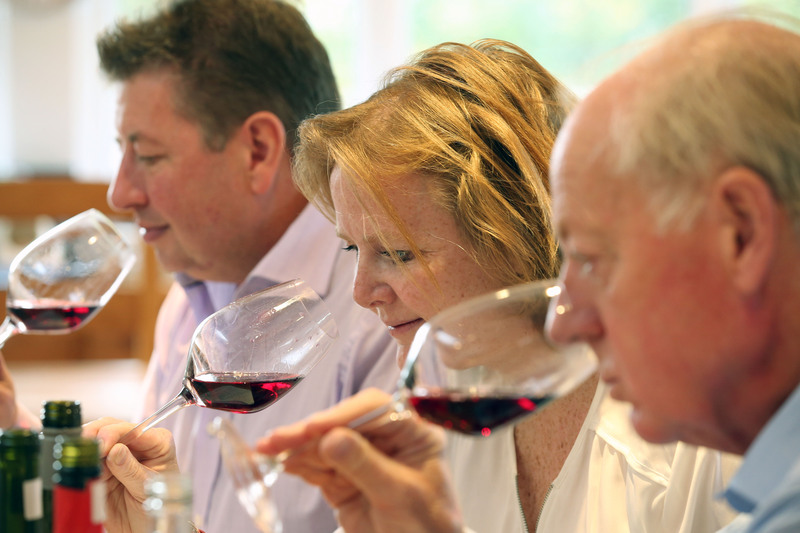 It was chaired by Roger Jones, Michelin starred chef and senior judge at the Decanter World Wine Awards. He was joined by Bill Gunn, former Managing Director of the famous Champagne producer Pol Roger, and Julie Bell from the Felin Fach Griffin near Brecon. The wines were blind tasted and marked using the same format as the Decanter awards. One gold was awarded and that went to this month’s Drink of the Month – Ancre Hill Estates Sparkling Rosé 2009. In the Still White or Rosé class two silvers were awarded both to Tintern Parva from Monmouthshire. One for their Bacchus 2011 and Bwthyn Rose 2011. I’ve tasted the latter and it’s a fantastic rosé. Five bronzes were also awarded. The two silvers in the Red Wine Class both went to Ancre Hill Estates for their Pinot Noir’s of 2009 and 2011. No surprise there, great wines. Two bronzes were also awarded. Finally, as well as picking up a gold award in the Sparkling Wine Class, Ancre Hill also got another silver for their Sparkling White 2008. As many as eight bronzes were awarded in what was the strongest class of wines. Plenty of great Welsh wine on show and it’s a credit to the WVA for starting what should become a major date for Welsh wines and for starting big with a strong judging panel. This is great but I do hope that, as part of such an international event, Welsh wines have their own category so that someone can say ‘we make the best wine in Wales’ each year. The potential for Welsh wine was nicely encapsulated by Mr Morris “We are very excited about the future of the Welsh wine industry. We are in a similar position to that of the New Zealand industry 50 years ago which today has an export market worth one billion NZ dollars per annum and supports 20,000 jobs,” said Mr Morris. For Welsh wine to get anywhere near this would be fantastic, but things are certainly going in the right direction these days. Pob lwc! This entry was posted on 24/11/2013 at 20:54 and is filed under Wine. You can follow any responses to this entry through the RSS 2.0 feed. You can leave a response, or trackback from your own site.